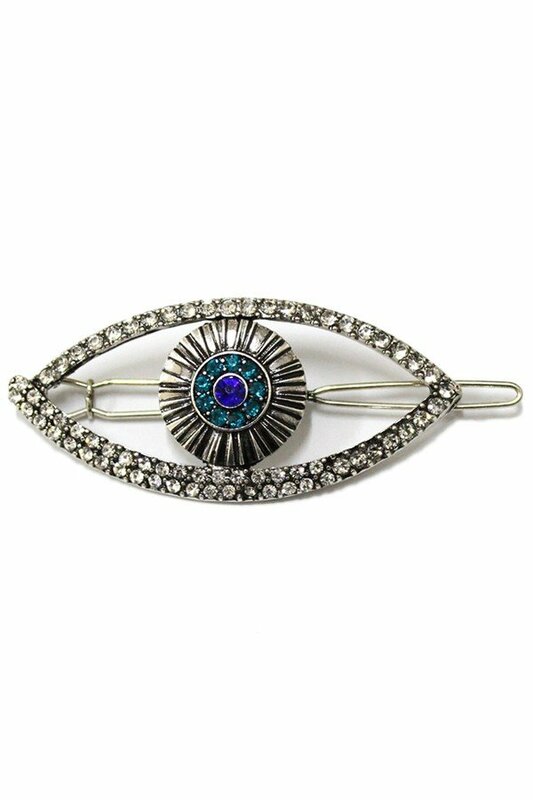 Description: Rhinestone encrusted evil eye hair clip. Approx. 1.5".